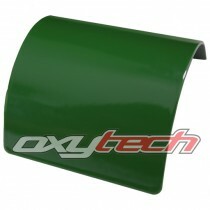 A dark grassy green with a gloss finish. This PR12-based colour is a thermosetting powder coating based on saturated polyester resins specially selected for exterior use. Its very good flow-out and excellent resistance to atmospheric ageing and ultra-violet light make it highly decorative and durab..
Complement steel fencing colour: Mangrove. 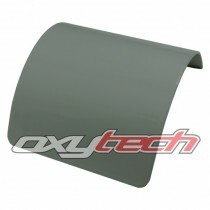 A dark green-grey with a satin finish. This PR12-based colour is a thermosetting powder coating based on saturated polyester resins specially selected for exterior use. Its very good flow-out and excellent resistance to atmospheric ageing and ultra-violet ..
A bright grass green with a gloss finish. This PR12-based colour is a thermosetting powder coating based on saturated polyester resins specially selected for exterior use. Its very good flow-out and excellent resistance to atmospheric ageing and ultra-violet light make it highly decorative and dura..
Complement steel fencing colour: Mist Green, Pale Eucalypt, Meadow (C/bond). 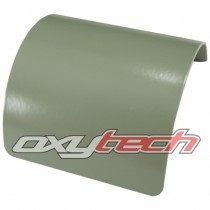 A dusty dry green with a satin finish. This PR12-based colour is a thermosetting powder coating based on saturated polyester resins specially selected for exterior use. 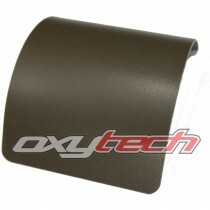 Its very good flow-out and excellent resistance to at..
A dark green-brown colour with a matt finish. This PR18-based colour is a satin-matt thermosetting powder coating based on saturated polyester resins specially selected for exterior use. Its very good flow-out and excellent resistance to atmospheric ageing and ultra-violet light make it highly deco..
Complement steel fencing colours Picton Green, Bronze Olive, Brushwood. 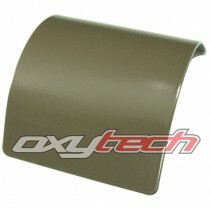 An earthy olive green colour with a satin finish. This PR12-based colour is a thermosetting powder coating based on saturated polyester resins specially selected for exterior use. Its very good flow-out and excellent resistance.. Practical equivalent for Pantone 376C. 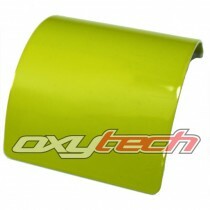 A yellow-green colour with a gloss finish. This PR12-based colour is a thermosetting powder coating based on saturated polyester resins specially selected for exterior use. 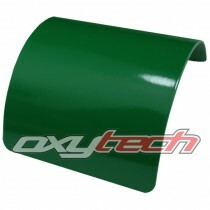 Its very good flow-out and excellent resistance to atmospheric ageing and ultra-violet ..
Complement RAL 6002 Leaf Green and John Deere® Green colour standards. A deep green colour with a gloss finish. This PR12-based colour is a thermosetting powder coating based on saturated polyester resins specially selected for exterior use. Its very good flow-out and excellent resistance to at.. Equivalent to Australian Standards (AS2700) colour T45. A light turquoise colour with a gloss finish. This PR12-based colour is a thermosetting powder coating based on saturated polyester resins specially selected for exterior use. Its very good flow-out and excellent resistance to atmospheric ag..